Dual-track codewheel with 64 periods for IT encoders. The codewheel consists of a PCB with copper patterns on the front side and with a plain copper surface on the backside. The backside copper layer acts as a screen against metallic structures behind the codewheel. The codewheel can thus be mounted on a metallic or non-metallic hub. 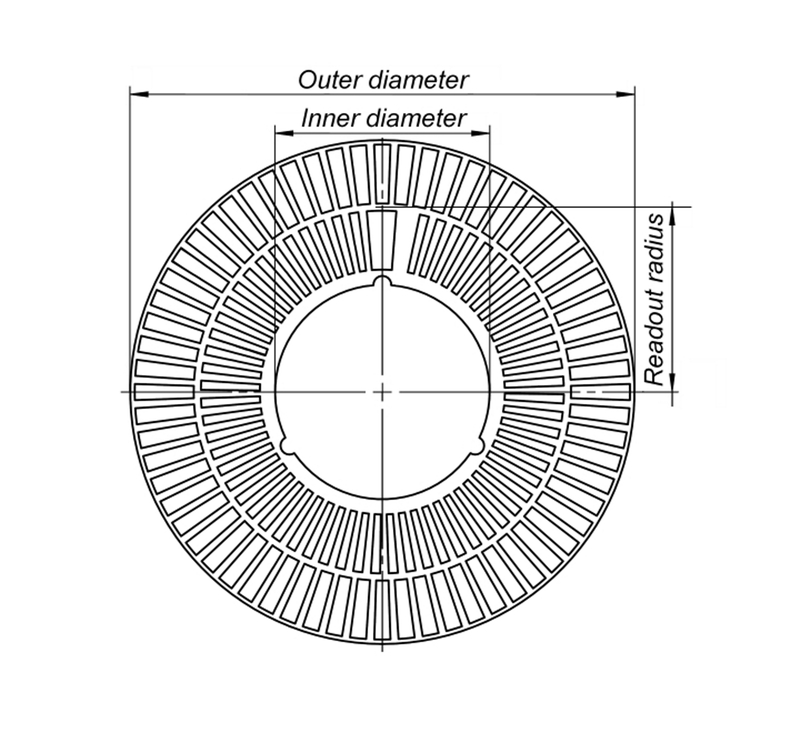 The codewheel contains 3 half-holes with diameter 1 mm that can be used for alignment. Name* This is a required field. Please enter a valid character. Email* This is a required field. Please enter a valid email address (Ex: johndoe@domain.com). This is a required field. Please enter a valid character. I agree with the terms and conditions This is a required field. Copyright © 2018 POSIC SA. All rights reserved.